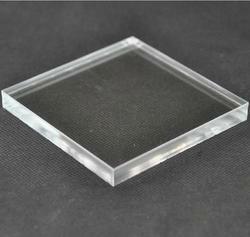 We are Manufacture & Exporter of Acrylic Flexi-Glass. It is used to see the Process inside the tanks and vessels. Pressure rating up to 100 bars, Our major clients from South east Asia and gulf countries. Leveraging the skills of our qualified team of professionals, we are instrumental in offering a wide range of Acrylic Crystal Glass. We offer our clients with Fancy Acrylic Stained Glass that is procured from reliable vendors in the market who handcraft them intricately. Backed with hard working workers we are involved in delivering best series of Acrylic Disposal Glass Organizer. 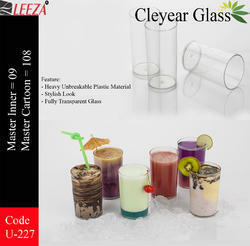 Our well facilitated infrastructural unit enables us to make a highly qualitative Acrylic Water Glass. We are the agent of many Japanese/Taiwan organic glass sheet, fluorescence series, glass series. Tubes, bars & mahjong board etc.